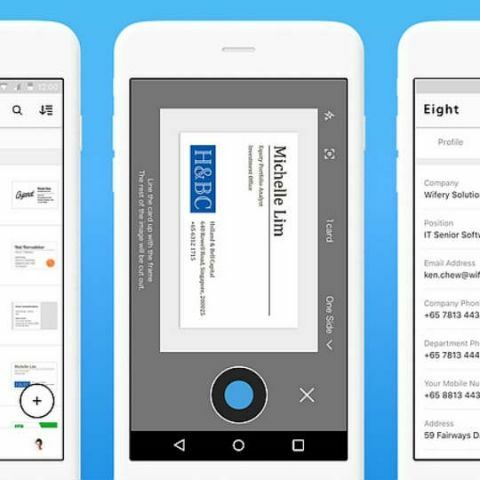 Japan's Cloud-based business card management service provider Sansan Inc on Wednesday launched a contact management app 'Eight' in India. The app implements artificial intelligence (AI)-driven technologies and lets the users contact business connections by converting analogue business card information to digital. "'Eight' is the biggest professional network in Japan with double the number of LinkedIn users but it was limited only to Japanese market. Now, we are opening up to the Indian market," Chika Terada, CEO, Sansan, told IANS here. The people can use their smartphone cameras to digitise business cards, manage contacts by digitising business cards and connect with contacts over the app. "We decided to launch 'Eight' internationally starting with India because the users are aspirational and very young. Our target audience is anybody who has a business card and who looks to build their network aggressively," Terada added. Sansan's "Eight" app combines business card scanning features with social media functionality to connect users and enable them to connect on a networking platform. "Users can manage business cards in 'Eight' by scanning cards into the app and we digitise all the business cards. Then you have a complete database on the cloud of business cards and that is not a contact list. It is a complete network," the senior executive said. Unlike LinkedIn, this app lets the user add anybody to their network. "We have continuously enhanced our transcription process to reach 99.8 per cent accuracy, and to transcribe more than 200 million business cards a year in a secure way. Utilising data with AI technologies will help us provide new opportunities for our users," said Edward Senju, Executive Producer of 'Eight'. The company will also launch a business card scan partner programme in India soon. In Japan, the app has two million users with 5,000 daily downloads and it also digitises around 3,00,000 business cards every day.